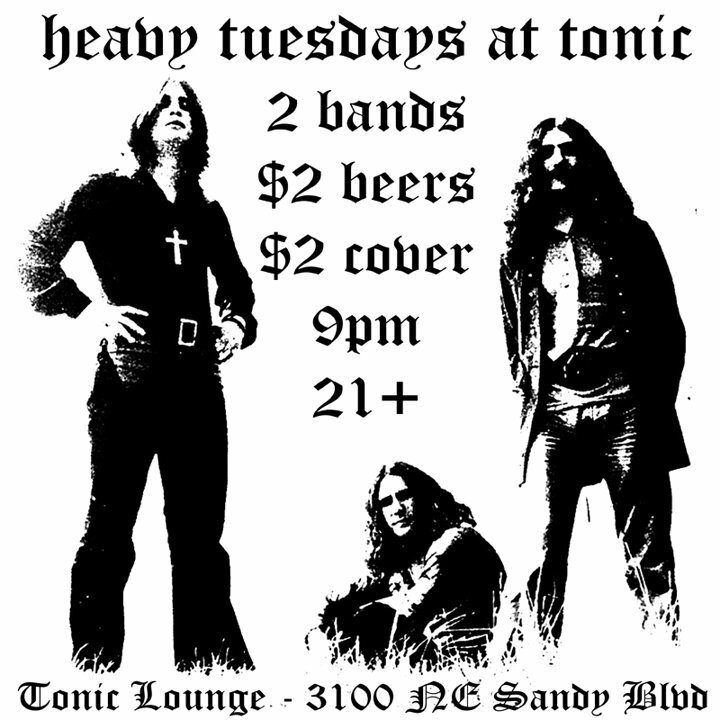 Heavy Tuesdays @ Tonic Lounge! Music starts at 9pm sharp! Every Tuesday: $2 cover, $2 beers, 2 heavy local bands. Plus $10 steak dinners available from 6pm until we run out! So for $20 you can eat dinner, see two bands, drink two beers, tip your bartender, and be in bed by midnight!